Two of the most recurring arguments of right wingers to undermine the Palestinians' right to self determination within their historic homeland is first, “there is no such thing as a Palestinian people”, and second, “Palestinians already have a homeland, it's called Jordan”. 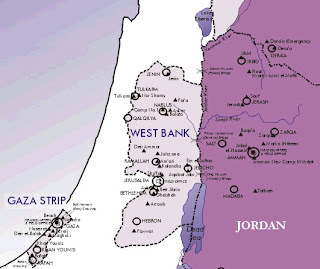 The latter argument is based on the idea that the eastern part of Jordan is part of the historic land of Palestine, and on the fact that roughly half of the Jordanian population is of Palestinian origin. Looking at history, however, this is a hypocritical argument since this demographic condition is mainly a result of Israeli expansionism and the continuous expulsion of Palestinians from their lands and the fact that Jordan has absorbed the highest number of the refugees that Israel has created. Today, Jordan is home to about 1.9 million refugees, more than 337,000 of whom live in the country's 10 official refugee camps. Palestinian forced migration to Jordan can be divided into two main waves, one following what Israel calls the War of Independence in 1948, and the second one during the 1967 war, during which Israel occupied the West Bank and Gaza, as well as the Sinai and the Golan Heights. 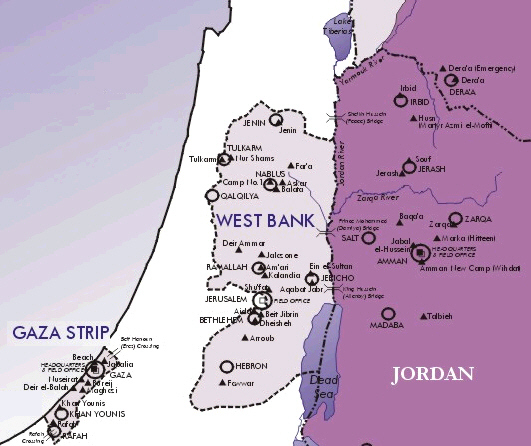 During the war of 1948, Jordan took control over the West Bank and in 1949 annexed it to the Hashemite Kingdom. According to Jordanian Citizenship Law, all Palestinians living in the West Bank were granted Jordanian Citizenship. Since 1948 a total number of 1,698,271 refugees registered with UNRWA (the United Nations Relief and Works Agency for Palestine Refugees in the Near East) and sought Jordanian citizenship. 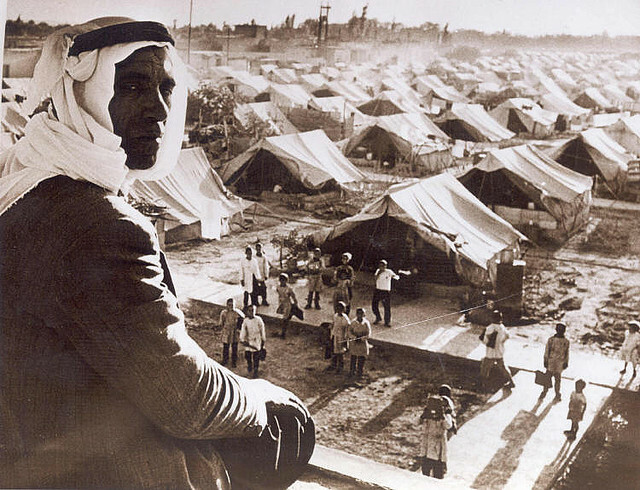 The 1967 war created another wave of refugees who mainly sought shelter in countries, such as Jordan, Syria and Egypt. Those Palestinians fleeing from the West Bank to the East Bank, i.e. Jordan, were anyways considered Jordanian citizens, Gazan refugees on the other hand, used to live under Egyptian authority, and up until today, with a few exceptions, are only granted temporary passports by the Jordanian government. After 1967, Jordan and especially its refugees camps were considered to be a base of a growing Palestinian resistance movement and frequently came under attack from Israeli brigades. King Hussein grew increasingly concerned not only by the heavy Israeli reprisals following the guerrilla attacks, but also by a perceived threat to his authority as many Jordanian groups and individuals, opposing the Hashemite regime, showed their support of the resistance movement. In 1970 the king therefore declared martial law and formed a military government to enforce it, which resulted in a war between the Palestinian Liberation Organization (PLO) and the monarchy. The fighting caused a high number of casualties, with estimations ranging between 5,000 to 25,000, and eventually led to the expulsion of the PLO and thus to the eradication of a Palestinian political and military presence in Jordan by 1971. In 1988 King Hussein severed Jordan's legal and administrative ties to the West Bank and relinquished claims to sovereignty there. Supposedly responding to the wish of the PLO to be recognised as the sole legitimate representative of the Palestinian people, and to affirm Palestinian identity in all its aspects, King Hussein withdrew Jordanian nationality from all Palestinians who resided in the West Bank at the time. According to Human Rights Watch a policy of arbitrary withdrawal of nationality from Jordanians of Palestinian origin continues up until today. Between 2004 and 2008, Jordanian authorities stripped more than 2,700 Palestinians, originally from the West Bank, of their Jordanian nationality and thereby denied them basic citizenship rights, such as access to education and health care. The fact that roughly half of the Jordanian population is of Palestinian origin does not determine their status or living conditions within the Hashemite Kingdom. Depending on the political context, the Jordanian government historically either emphasised Jordanian-Palestinian unity, or to the contrary, privileging local Transjordanian identity. The situation of the 13 percent of the Palestinian population living in the refugee camps is unsurprisingly worse than those who have settled elsewhere in the country. They have poorer living conditions, more physical and mental health problems, higher unemployment levels, and lower income. But also the lives of those Palestinians dwelling outside the camps are marked by deeply embedded discrimination: “Their career options are limited to the private sector, they run the economy, but have no access to the decision making circles and state institutions”, states one UNRWA employee. 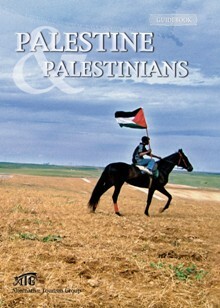 It may be due to this discrimination, or to a political and national sentiment that a majority of the Palestinians living in Jordan, while striving to improve their social and economic lives, don't want to be viewed as having acquiesced to schemes that aim at their integration and never ceased to have a sense of belonging to Palestine. Green Olive Tours can organize trips to explore the status of Palestinians in Jordan. Contact the Tours Coordinator for Details. 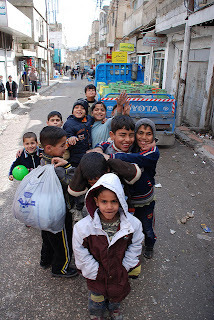 The Amman Day Tour visits a refugee camp.